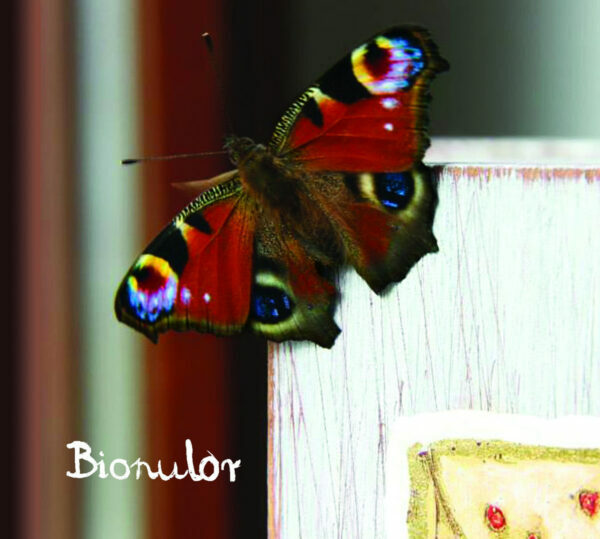 Latest release from Polish sound-artist Bionulor, last noted for his record that was constructed from the works of Satie, and before that, William Burroughs. Sebastian Banaszczyk sticks rigorously to his method, using only one source at a time for each themed project, and this time on A.S. (ONIRON ON.005) it’s the music of the renowned Russian pianist and composer who died in 1915, Alexander Scriabin. I’m not familiar with the works of this 19th century fellow, though I gather the experts say he was influenced by Chopin and elected to work in genres usually associated with “romantic” music, such as the Nocturne and the Etude. He also had a reputation for being narcissistic and mentally unstable, and had that interesting condition called synaesthesia which in his case caused him to link certain colours with musical keys. None of that appears to be of any interest to Bionulor though, who continues to fashion minimal electronic music in his brittle, mosaic-like style (something he’s been doing for ten years now), resulting in music that rarely flows evenly when it can make its way across the wooden floor with a strange hocketing motion, accompanied by foreign bodies and glitches in the air. While there are piano notes in the mix, and indeed at least one track uses looped phrases, it would take a diligent classical music scholar to unpick the Scriabin nuggets from this digital embroidery. And if the real-life Scriabin had an abrasive personality and ended up making quite a few powerful enemies in his time, you wouldn’t know it from this rather cold and distant music. “The source material…was found in the music of Alexander Scriabin,” writes Banaszczyk in his press note. “Does this matter? It’s up to the listener,” he shrugs, which is tantamount to admitting he might as well have sampled a Gipsy Kings CD from the charity shop. Even so, though this is a very restrained and subdued spin, there is always something rather weird and eccentric about the music of Bionulor that keeps me listening and pulling me into his electronic hall of mirrors. From 1st October 2018.